During a few hours of downtime, the hands at the Darwin Ranch were working with their Charles Darwin Club Secret Decoder Rings© (obtained by sending in UPC codes from Uncle Nabal's Primordial Soup© cans). They were trying to determine if they had evidence — real evidence — for the origin of the universe. They used a word they learned down Mexico way: nada. Or, zilch. Nil. 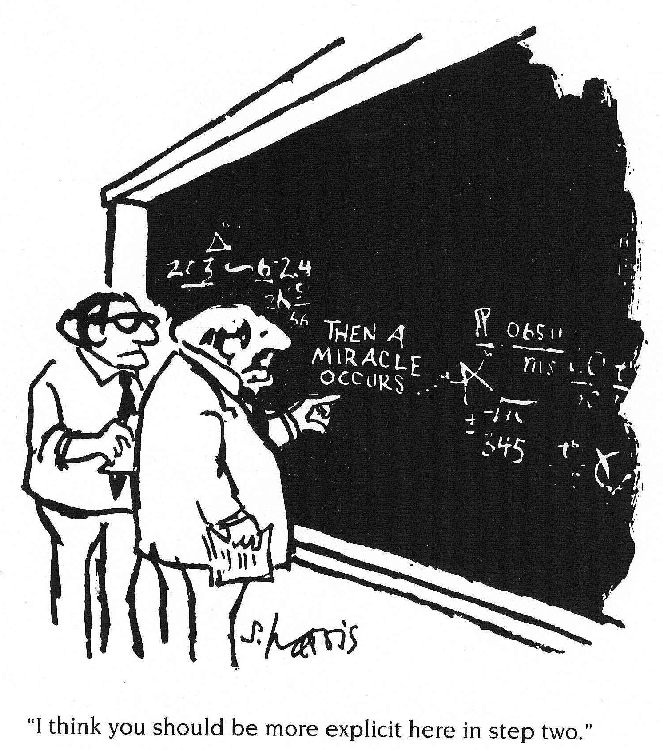 So, they did what they saw in a cartoon and invoked a miracle for the origin of the solar system. Atheists do believe in miracles, secular cosmologists and cosmogonists ignore inconvenient scientific truths to invoke their miracles. No, they do not give credit to the Creator. Instead, they give their puny gods of evolution and nature a kind of intelligence that makes things happen. Those owlhoots have an amazing amount of blind faith in nothing, don't they? Skipping over a difficulty because it can’t be solved scientifically: that’s one giant backward leap for theory kind. Finagle’s Rule #6 for scientists recommends, “Do not believe in miracles. Rely on them.” Secular materialists follow that rule implicitly when trying to account for the origin of the solar system. They know full well that the “building blocks” of small grains, thought to have condensed out of a primordial gas cloud, do not stick together. They bounce off each other or, worse, erode each other into smaller grains. Only when an accreting ball of grains grows to about a kilometer in diameter will the so-called “planetesimal” begin to accrete more material through gravity. That’s the problem; you have to start with small planets to get planets. 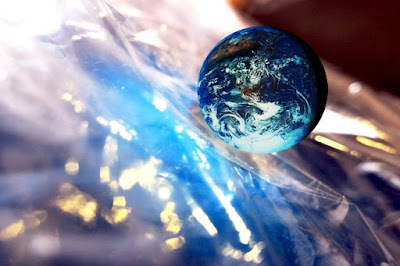 But materialists need a theory from the bottom up: from molecules to planets. How can they deal with this giant hurdle? Two ways: (1) invoke miracles, and (2) use the Big Lie tactic while doing it to make it sound convincing. Need proof? Look right here. 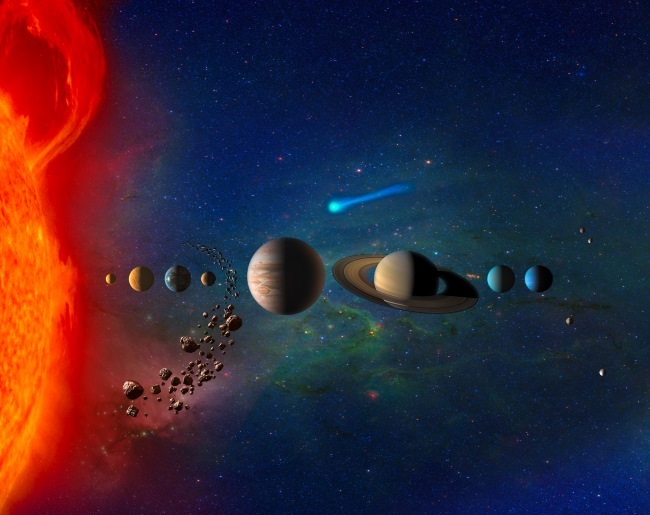 To finish reading, click on "Miracles in Solar System Origin Theories"